I got an email asking what camera bags I use. There are several on the market that are female friendly and not unsightly like the usual clunkers some people carry around. This is the Baroque Shoot Sac. The default cover is black. 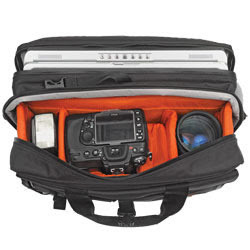 Shootsac sells covers you can change out for the occasion you're shooting at. The Baroque is a good design for weddings. The fabric is wetsuit material and the whole bag is designed to make changing lenses and easy ordeal. It can't hold a camera at all. It's a lens bag. 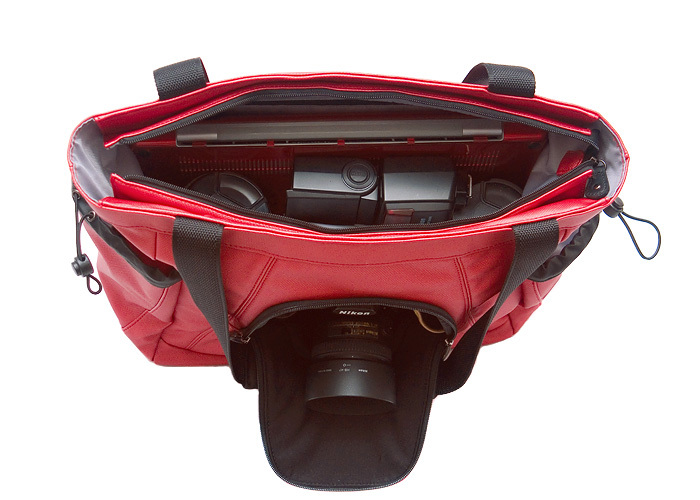 This is the Naneu Pro, my bulky bag. I take this with me to my sport shoots because it's water proof and will hold my whole house in. It takes up to 2 cameras with 2 lenses. It will also hold your laptop and is padded nicely so when it falls off your car roof, you betcha the cameras will be ok. I have aluminum bags for the bits and pieces. I got them from the grocery store. They were poker set bags. These are totes by PhotoJoJo. It's on my list of to gets one day. I like the style. The colored one in the middle would be perfect for family shoots and the beige one on the end I'd like for weddings. 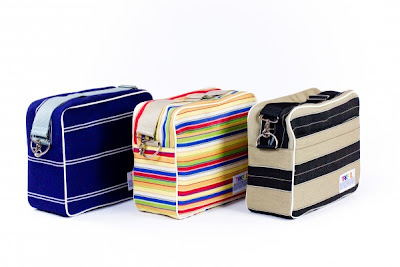 These bags will hold one camera and 2 lenses and a flash. This is the shootsac tote. It has a separate compartment just for the camera. I'm a messenger bag person. Carrying a bag over your shoulder and under your arm, like the tote, to me is not very ergonomical. I prefer my bags slung across the front of me and resting on my hip. It just works better that way. All these bags will run you near $200USD per bag. Well worth the spend if you're willing. LW Lesson 1 - The Bottle. Feijoas and a cookie the size of your head.